Hi~! As most of us know, online shopping is very quick and convenient. So more people are buying fashionable clothes, gadgets, accessories and other services on the internet. But you need to have the right timing and budget to do that. If you don't wanna spend too much than expected. you might get carried away in clicking buy now button like I always do. So I made this little list of how you can save money when shopping online. 1. FISH FOR COUPONS ONLINE - I admit, I rarely hunt for coupon codes before purchasing something online. But thinking back, if I didn't rush and looked for coupons before purchasing anything it'll help me save money a lot. Sometimes coupon codes spams on my email can't be of use. But there is also a time when I badly needed one and found it really useful. 2. JOIN MAILING LISTS FOR FREE COUPONS - I've been signed up from different online shops and they send me updates for new items and coupon codes directly to my email. They also directs you to a list of available coupon codes where you can choose your preferred required amount or category like this Nordstrom promo code page. 3. IN-STORE VS. ONLINE - you should always do this before buying something online. especially if you have a certain budget to follow. You should always weigh if the item that you're buying online is much cheaper than in-store. Unless you can't find it in your local store. Because sometimes you might need to add shipping costs and most of it are expensive. 5. BE PATIENT & USE GOOGLE - if you are aware that the store gives out coupons monthly or annually. Make sure to look out for it and wait for its release. You may search for it in Google, they usually put a year on every coupon. Try searching with this kind of format: "Nordstrom discount codes 2014". 6. RETURN POLICY - make sure you check this before clicking checkout! This is very essential. Because if you can't return a certain item especially if it is damaged, it will costs you twice the trouble. Alright guys! That's all for today's post. I really hope this budgeting tips post helps. If you wanna add something, just let me know in the comment box. Also, if you want this kind of posts or if you have any suggestions let me know! Thank you for reading! great tips doll. shopping is a full time job sometimes! lol. you gotta hunt for the best deals unless you are made out of money. hehehe. thanks for the post! Hi I tagged you at Sisterhood of World Blogger Award. I hope you have time to answer my questions and tag someone too! http://nhengswonderland.blogsp... Your blog inspires me a lot! Thank You! 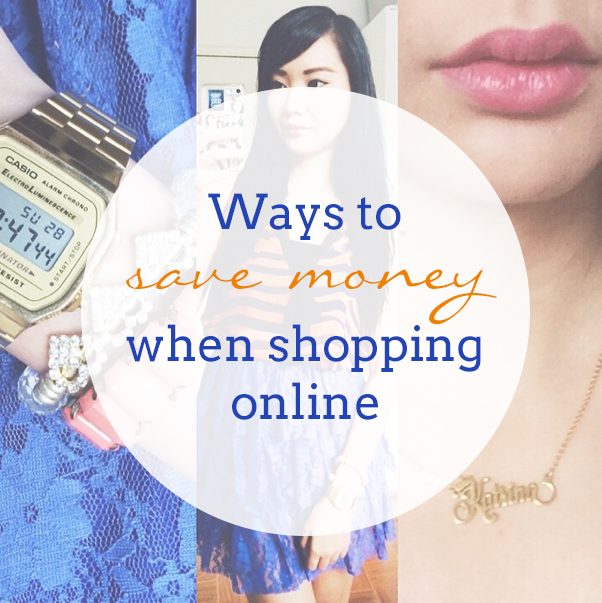 Lovely tips on saving money online ^^ Thanks ! Thank you for following my ig shop @mustdeal just send me a msg and Im glad to assist you. Very nice, it is si useful!! Thank you for those useful suggestions. great pointers. online shopping can be difficult, but like you've mentioned, the one thing we always check is the returns policy!! Good tips. I never thought about coupons before. This post sure helps.